Ludo was born in February 2012 and came to me from Bianca in Siamesis Cattery in Germany. Ludo's mother is IC Jensen Cat's Lillyfee and his father is Siamesis Rock 'N' Roll JW. 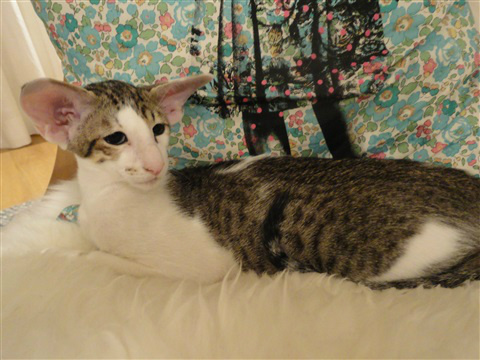 His colour is black spotted tabby with white. He is just the sweetest, easy-going, people-loving boy. He is always happy and has lots of lots of "hugs" to share with everybody around - people or animals. And, he is "mummy's boyfriend" and will not let me forget for a second. ;-) Added to this he is a very attractive boy with great fur pattern, short closely lying fur, a slender body on high legs, long tail, perfectly placed ears of good size, good chin, and nice green eyes. Belle is Sanna's daughter, born in September 2017. Her father is Blagodar Vadaet Blago, a solid black (n), Russian import. 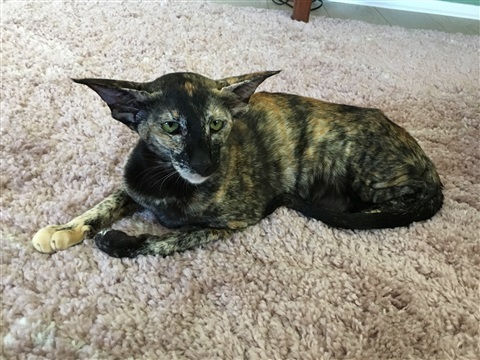 Belle is a black tortie (f). 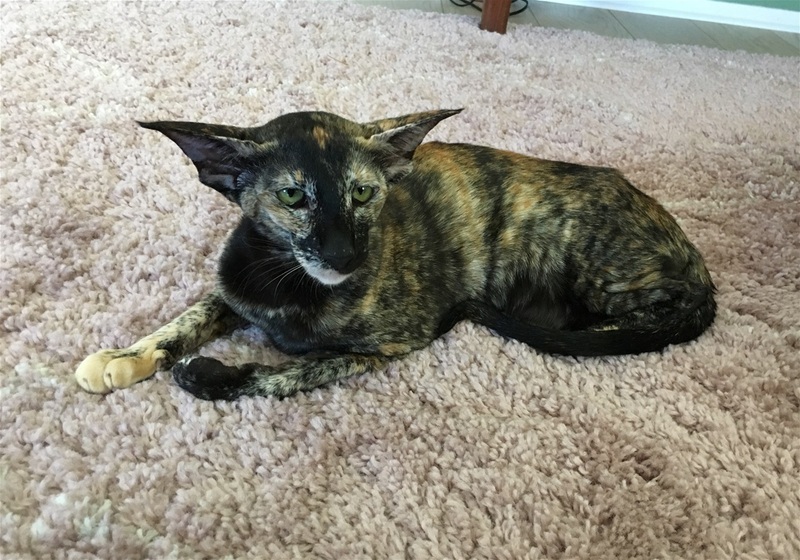 Her look is excellent: ex shape of the head, ex ear placement and size, green and well shaped eyes, straight profile, strong chin, nice tortie color distribution, decent length of body and tail, and high legs. Belle is a very social girl. She loves to talk to everyone - all the time. She is also very affectionate and playful.